The Ress family is an old, established family in Hattenheim. In the 1880s, Balthasar Ress purchased the property of a bankrupt estate on Rheinallee 1. the site of today’s hotel and restaurant Kronenschlosschen and its predecessor, Hotel Ress, which Balthasar Ress opened in 1894. The family produces its own wines – literally, “Von Unserm” (our own) – a brand that is still used by Weingut Balthasar Ress to denote its most important house wines. The 25th of October marks a milestone in aviation history “Singapore Airlines – First to Fly A380” and “we’re on board! On the virgin flight of the new Airbus 380 from Singapore to Sydney and return the following day, Singapore Airlines will “redefine luxury in the sky” with 471 seats in three classes – economy, business and Singapore Airlines Suites. 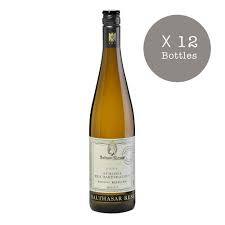 We’re especially proud that we’ll be on board with 180 bottles of our 2005 Rheingau Riesling Kabinett.